I’ve had enough with the prompt “Storage Almost ” that frequently pops up on my iPhone! But I’m quite confused at “Other” occupies a large amount of space when checking the storage usage. What does Other mean? How can I get rid of Other space from my iPhone? Most iPhone users seem to have unpleasant associations with Other data as they can pile up to a level where there is insufficient space for an app. To thoroughly clean them up, it’s essential to know what is Other on iPhone storage first. The Other spacemeans data that iTunes can’t display or manage for you (just as the picture shows in orange in orange), consisting of apps’ downloaded data, Safari browser cache, Mail app’s cache, pages for Safari’s reading list, voice memos and more. Namely, iTunes won’t help you remove “Other” data from iPhone to free up space. 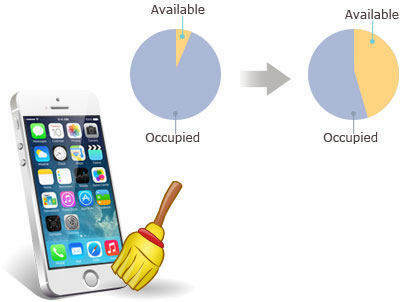 To help you out, I collect 3 free ways to clean Other space on iPhone for your reference.But note that they can only wipe Other space to some extent but not completely. Way 1: Navigate to Settings >> Safari and tap on “Clear History and Website Data” to delete internet browsing history and cookies. Way 2: Go to Settings >> Mail, Contact, Calendars, tap on the email account you want to delete and scroll down to tap “Delete Account”. After that reset your email account. Way 3: Head for Settings >> General>> Reset >> Erase All Contents and Settings to wipe off all temporary files, cache, cookies and the like. Then connect your iPhone to iTunes and restore from previous backup. Remember to back your iPhone up beforehand. Considering the complexity of Other files on iPhone, it’s troublesome to manually find and clean them one by one. 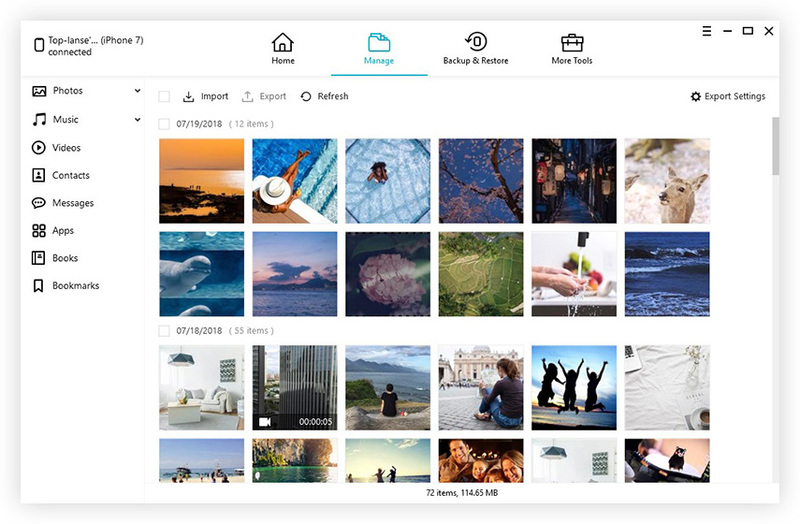 Therefore, I’d like to recommend the best storage space cleaning software Tenorshare iCareFone, which helps clear out Other and all junk files on iPhone 7/SE/6S Plus/6S/6 Plus/6/5S/5C/5/4S/4 within 3 straightforward steps as follows. Step 1: Download Tenorshare iCareFone to PC and launch it first, then connect iPhone to computer via a USB cable, make sure it’s well connected. Step 2: When the software detects your iPhone, click on “Speedup & Clean” on the main interface. Note that you can check how iPhone space been occupied by clicking the setting button and selecting “Storage”. Step 3: Click “Quick Scan” to start scanning and you’ll get an interface that displays a list of files to be cleaned as below. Choose those you want to remove and click on the “Clean” button to proceed. As can be seen, there is no betterway than Tenorshare iCareFone to free up iPhone Other space. Moreover, Tenorshare iCareFone also works perfectly for iPad/iPod, which tweaks any iOS 10/9 mobile device to its top performance. Do not hesitate to give it a free trial!